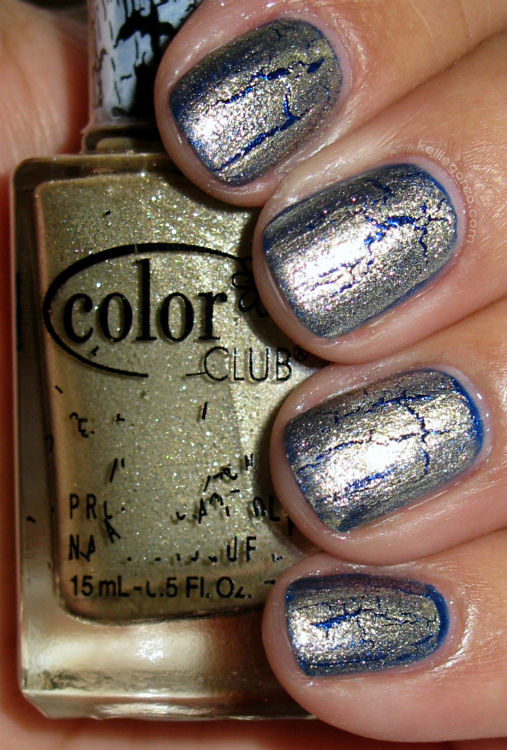 Hi everyone, today I have the remaining three polishes in the Color Club Fractured Collection. You can see my review on the first three here. First up is Kiss and Break Up, the fuschia purple fractured topcoat. I am not terribly impressed with this one. It's an okay color, on the hot pink side of purple. I hear it is an dupe for the color of China Glaze's Purple Panic. This one didn't crack very much on my first few tries, this is my third attempt at a swatch for it. I put it over Sinful Colors Adventure Island, a yellow tinged green crème. It is actually more dusty and pale than my picture makes it out to be. I got a new camera for flash photography so I'm learning how to use it correctly, bear with me. I really like the color combo of these two together. Next is Tattered in Gold, the light gold fractured topcoat. If I was not impressed with Kiss and Break Up, than I might as well toss this one right now. It would simply refuse to crack no matter how much I varied application, thick, thin, etc. I eventually thinned it a little with polish thinner, and that helped maybe a tiny smidge, but not much. I don't like how the gold is so light too, it's almost silver :P I put it over my first Pixel Polish Oh Pardon Me. You can get these at Ulta for $1.99. They are tiny but have a really fabulous brush. 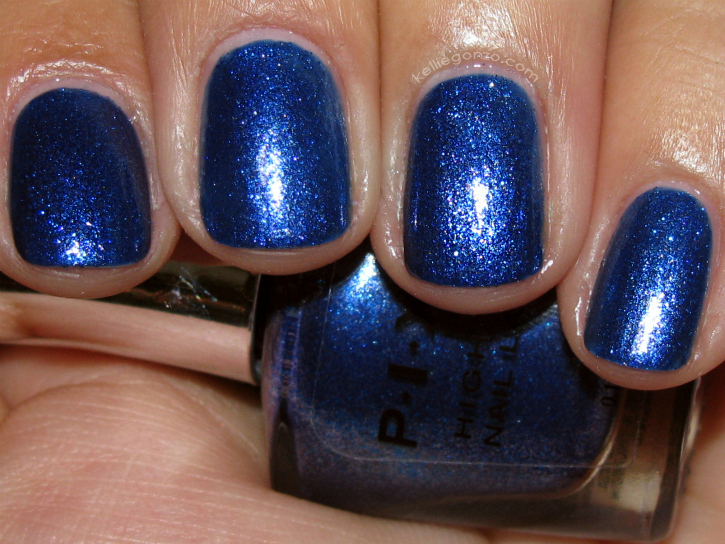 Oh Pardon Me is a shimmery tri-tone blue shimmer/glitter. 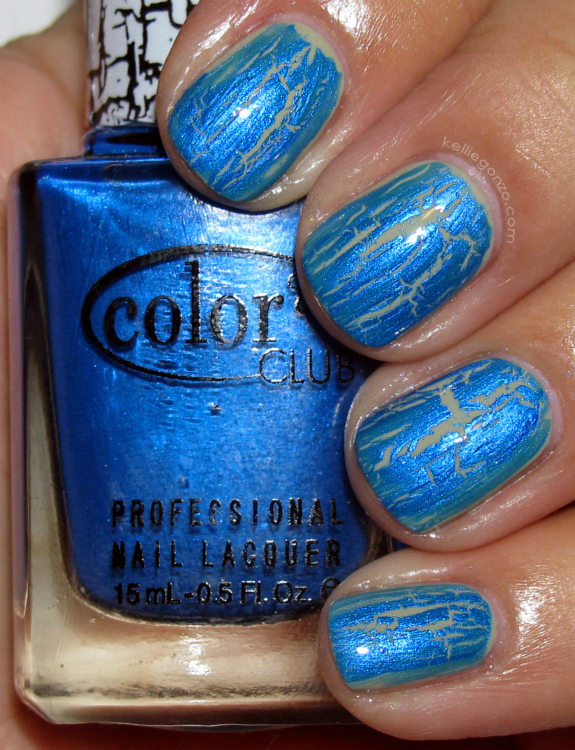 And last, and my favorite from the three, is Splitting Image, a bright blue fractured topcoat. 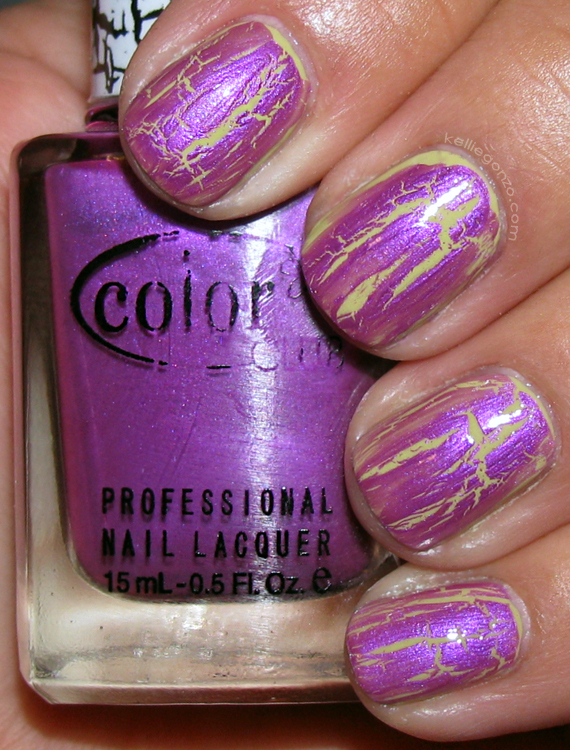 This one cracked the best out of the second half of this collection, and was nicely pigmented. I used it over Sinful Colors Seaweed, a dusty pale green dupe for OPI's Stranger Tides. My bottle of this broke so I had to decant it into an empty franken bottle. I liked this polish too, it was creamy and applied easily. These were all were a bit more temperamental than some other crack polishes I've tried. And they got really chunky around the neck of the bottles, as they dry I guess. I have to say I'm not a fan of this half of the collection all that much. You can purchase Color Club polishes from TransDesign.com, Head2ToeBeauty.com, and from VictoriasNailSupply.com (although they are on vacation until July 28th). Take care dolls, I am having kind of a hard time right now but I'm trying to get through it with my head held high. Kisses!